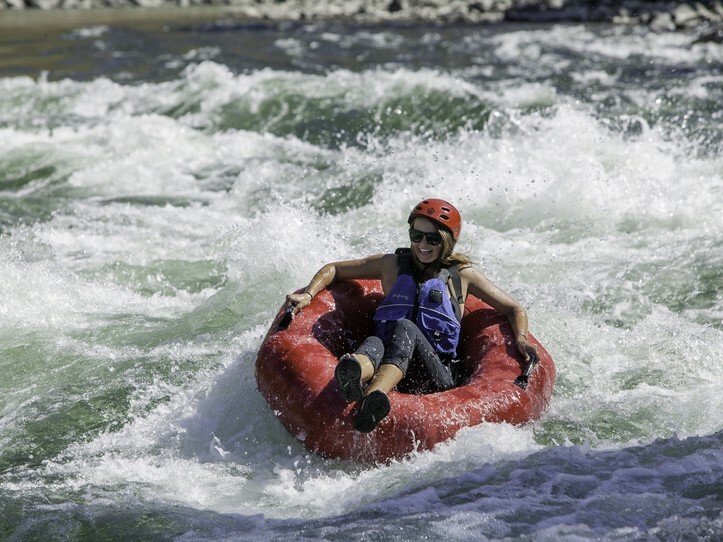 A Wet and Wild ride is in store for you when you go Weber River Tubing. Suitable for ages 14 and older and less than 250 lb. Those outside of our guidelines should opt for our Guided Weber Rafting Trip. Shuttles leave every hour starting at 10am to 3pm. Later shuttles can be arranged with larger groups. Weber River Tubing is strenuous and requires good physical fitness, decent swimming ability. You will encounter natural and other obstacles on the river such as: Rocks, Trees, Branches, Bridges, Posts. We provide Super-Duty Aire Rocktabomb River Tubes - the strongest and burliest tubes on the market, Shuttle, Life Jacket and some basic instructions. Long-Sleeve Shirt, Sturdy multi-strap sandals or river booties highly recommended. Our tubing office is 10 Minutes from Morgan, 30 minutes outside of Park City and less than an hour from Salt Lake City.